Milky Way Logistics provides first class freight solutions from UK to any destinations in the World including Ireland. If you are looking to move a consignment from UK to Ireland, please contact Milky Way Logistics for our best and most competitive rates. The range of services offered by Milky Way Logistics are including but not limited to pallet shipping from UK to Ireland. Milky Way Logistics has links to a diverse network of hauliers through which pallet shipping, dedicated services and same day deliveries are possible when it is time for shipments from UK to Ireland. 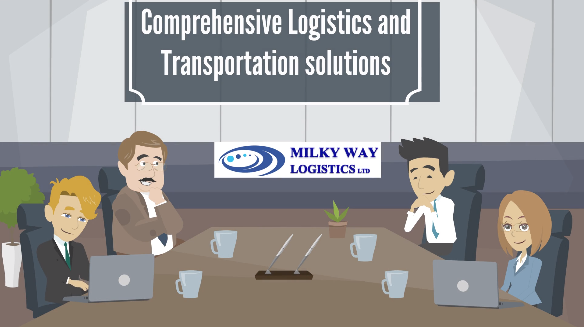 Milky Way Logistics and its partner in the UK network of hauliers, assure the best and most competitive solutions for any shipments from UK to Ireland and guarantee the highest quality service at the lowest cost. Pelleting service could also be provided for your loose commodities which makes your shipment more recognisable among the carriers while making it smoother for loading and unloading. If you are looking for a specific delivery date and time, please enquire about our dedicated service which is guaranteed for the delivery and transit time. If it is not a full load or time is not a barrier, then to be more cost effective; you may better off to have our part load solution which might not be as quick as the dedicated service but it would definitely be the most cost effective one as you will be sharing the vehicle with other customers and as a result the cost of freight would be divided among shipments and make all of them much more economical. At Milky Way Logistics, we are not only monitoring the whole shipment from origin to its destination but also providing our customers a trackable reliable service that could be tracked and monitored during the journey. Therefore whether you have only one light pallet or as many heavy ones, Milky Way Logistics has solutions for your consignment and it is worth contacting our experts today via our web site or by sending an email to enquiries@mwll.co.uk and providing some details of the shipment and to get support for your pallet shipping from UK to Ireland.